Members of the public will have a chance to find out about the restoration work so far at Delapre Abbey, later this month during the first of a planned series of Open Days. 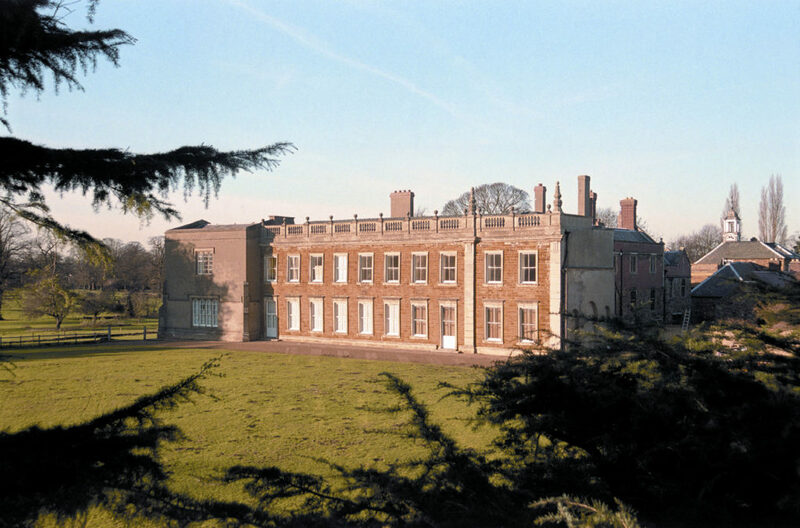 The Delapre Abbey Preservation Trust (DAPT) is organising an Open weekend on Saturday 30th and Sunday 31st May in conjunction with Northampton Borough Council and main contractors Woodhead Heritage. Rod Giddins, Chair of the Trust, said: “We are very excited now that work on the main project is finally underway. This event provides a chance for the public to see what has been achieved on-site so far and to learn about how they will be able to get involved with the Delapre Abbey project as it progresses. We look forward to welcoming visitors to our first Open Day and showing them the work being done to bring the Abbey back to life”. The open weekend at the Abbey will give members of the public the chance to find out about he work taking place including results of the archaeological work so far as well as plans for the abbey’s exciting future as an engaging historic visitor attraction. Along with information displays there will be a number of demonstrations of traditional building and conservation crafts including stone masonry, lead work and carpentry for people to have a go at. It will be possible for visitors to enjoy a short tour of some of the Abbey building itself looking at the restoration works already underway, and exploring more of what the project is hoping to achieve. Visitors will be encouraged to sign up to receive more information and news about the restoration project as it continues in 2015 and 2016 and we also hope that visitors will take the opportunity to take photos of the work in progress for sharing on the Trust’s on-line gallery. Visitors will be able to meet key partners involved with the project including the Trust and the Borough Council along with the contractors Robert Woodhead and some of the specialist conservation teams working on-site. The £6.3 million project, funded by the Heritage Lottery Fund and Northampton Borough Council, will culminate in the building being open to the public for the first time in the site’s 900-year history. Refreshments will be available throughout the event taking place between noon and 4pm on Saturday 30th and Sunday 31st May and there is no need to book. Places on the tours will be bookable on the day. From the archaeology under our feet to the historic parks and buildings we love, from precious memories and collections to rare wildlife, we use National Lottery players’ money to help people across the UK explore, enjoy and protect the heritage they care about. www.hlf.org.uk.